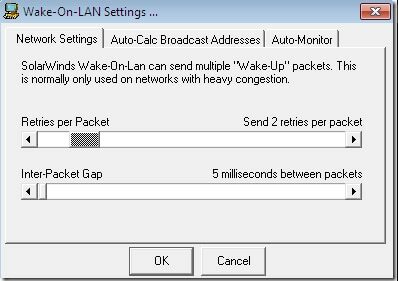 Best FREE Wake On LAN Software and Tools for your Network https://www.pcwdld.com/free-wake-on-lan-tools Wake On Lan is a Network Protocol that sends packet to an IP address of your choice that is specially formulated with a broadcast frame that will wake up the machine on the other end – that is, if WOL is enabled on the machine. The ability to perform a LAN wake on a system can be incredibly useful in a range of situations. To put simply if there is any time you might want a system to be turned on when you aren’t sitting in front of it, then Wake-On-LAN, aka WOL, is precisely what you need! Whether used for testing, or perhaps on a back-up system, it’s quite useful to be able to remotely control and change the power state of a computer. Even just accidentally shutting it down, or someone turning it off and leaving, can make WOL very useful! With the software installed the networks NIC continues to receive power even while turned off and listens for a specific packet to be sent that will trigger a startup. It’s as simple as that! And due to the simplicity there are a range of tools with a range of features to provide this very functionality. Some are as basic as just providing wake, while others offer a greater degree of flexibility and specificity in how they do what they do! It’s worth noting that WOL does often have to be enabled in the BIOS on the system to be roused remotely, of course. 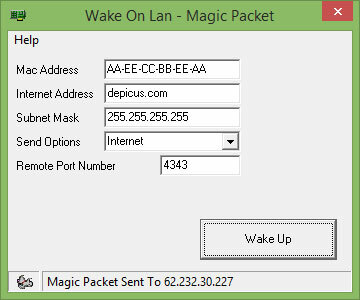 We’ve compiled a small list of the Best Wake on Lan software and tools that will help you Wake up any PC on your internal network via the protocol. 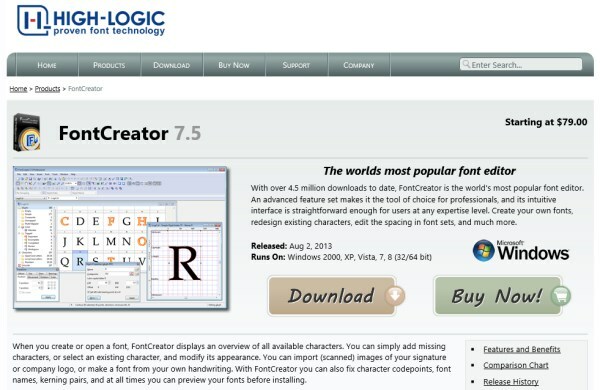 The Great part about most of the software below is that they’re absolutely FREE! Grab one below and install it today to make sure you have it ready when you least expect. Flexibility and functionality even while away from a computer is one of the most powerful tools we have in this day and age. 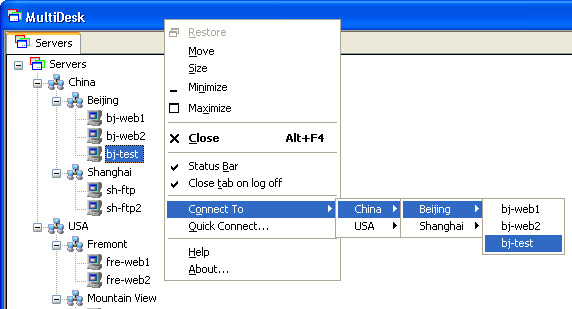 Being away from a system or office doesn’t mean you can’t repair, turn off, restart, and in this case, even turn back on a computer all from just about anyplace, and any device, with a network connection. For a nice and easy, but still robust, option for WOL functionality the SOLARWINDS Free WOL Utility can be easily recommended for doing a great job! Its FREE, Easy to Use and gets the job done all the time! Finding the Best Wake on Lan Software shouldn’t be difficult and we hope the list above has served you well in finding one. FREE WOL Software courtesy of Solarwinds! this article taken from: https://www.nextofwindows.com/top-3-free-remote-desktop-connections-manager Remote Desktop Protocol (RDP), developed originally by Microsoft, is a network protocol that provides a way for people to get access to a computer remotely with a nice lightweight user interface along with input devices like keyboard and mouse. Both Windows 7 and 8 come with a native Remote Desktop Client that lets you connect to the remote machine through this protocol. However, for people who constantly need to manage multiple machines at once, you will need a program that manages multiple connections for you to make your life easier. And here are 3 of them that are free and great for you to consider. Intel AMT support – to allow remote console asset access even when the computers are off. Hyper-V dashboard – to manager hyper-v powered VMs. Advanced Data Source support, including Amazon S3, Dropbox, FTP, SQL Server, etc.. If you are looking for one that is not only managing remote desktop connections but also many other things, this Remote Desktop Manager could be your answer. The Standard edition is FREE, and according to this comparison sheet, it could just be good enough for most of your IT tasks. Please also check out our full review of the product here. Terminals is another feature rich, tab-based remote desktop clients manager that uses Terminal Services Active Client (mstscax.dll). 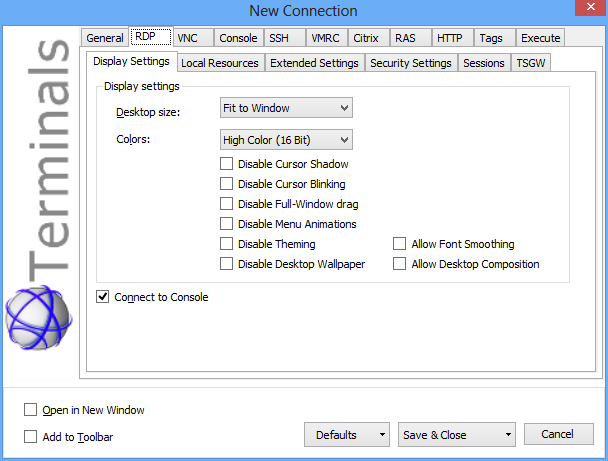 Other than RDP connections, Terminals can also manage most of other popular connections as well, such as VNC, Console, SSH, VRRC, Citrix, RAS, HTTP, etc.. As a bonus, it also handles a variety of networking operations like Ping, Trace Route, WMI Explorer, TCP Connections, DNS Lookup, Time Sync, etc.. Terminals is an open source project that has been quite actively maintained and developed for some years. It’s on stable version 2 and can be running on Windows XP, Windows 7, and Windows 8. Both 32-bit and 64-bit editions are supported. 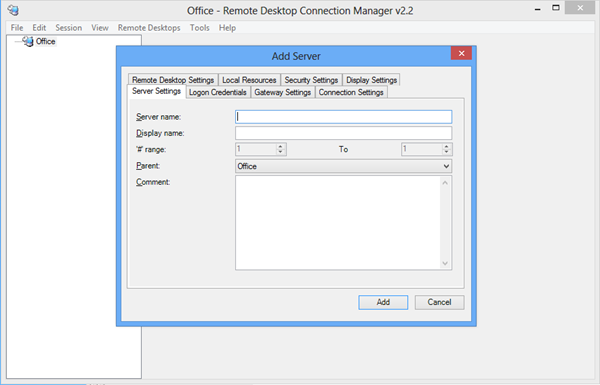 Microsoft itself also offers a manager tool called Remote Desktop Connection Manager 2.7 (RDCMan) that helps you manage multiple remote desktop connections. 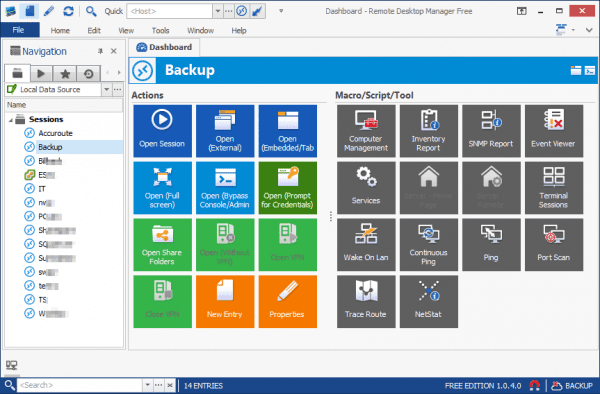 It’s similar to Windows Servers’ built-in MMC Remote Desktop Snap-in but more flexible. It works on Windows 7, and server version from 2003 and up. For Windows XP, you will need the latest version of RDP client in order to use it. 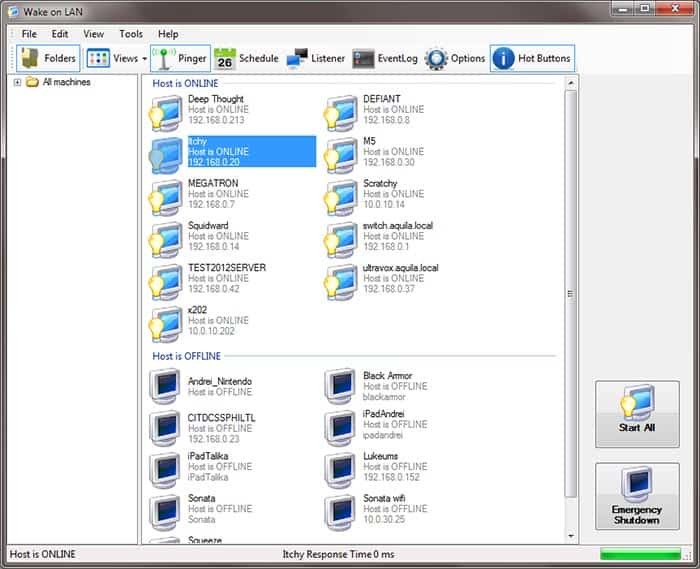 MultiDesk is another simple tab-based remote desktop manager that only manages multiple RDP connections for you. All connections can be managed through a server/group folder structure. It’s free and portable. all configurations and connections are saved in the save folder in an XML file. Since it’s portable, you can easily carry it with you so you can get access to it with all the same information. We actually have reviewed this tool before. Check it out if you want to know more. That actually made the no. 4 tools I covered here, instead of 3 I intended, but I guess you wouldn’t mind knowing one more option. 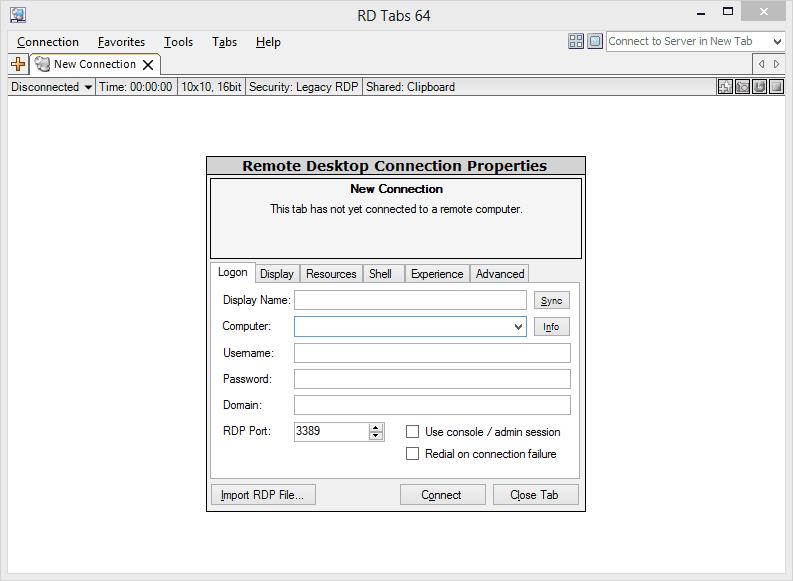 RD Tabs is another tab-based remote desktop manager that not only put Remote Desktop sessions to the tab but also provides extra features such as favorites with advanced editing, command line scripting, connection thumbnails, encrypted passwords, detached connection windows, remote desktop screen capture, remote terminal server information/management, RDP 6.0 support, etc. As one of our lovely commenters, Samuel Davis, states, it’s simple as hell. 2 new additions were mentioned by one of our visitors, mRemoteNG, and 2x Clients. Since they both look pretty good, we are adding them to the list here as below. 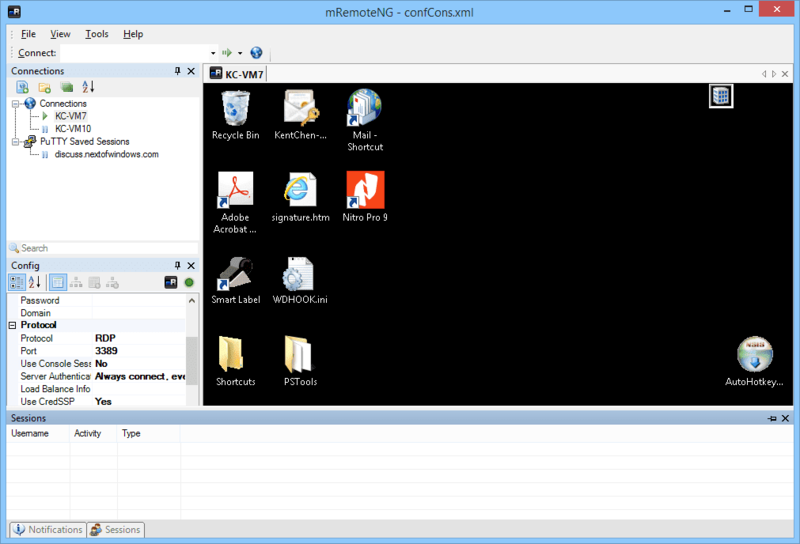 mRemoteNG is a fork of mRemote, an open source, tabbed, multi-protocol, remote connections manager. 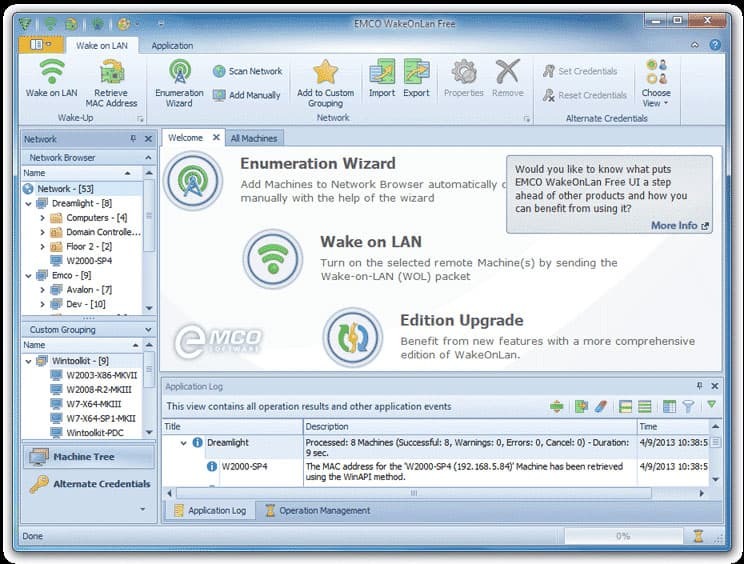 It supports not only RDP protocols but also some of the other popular ones as well, including VNC, ICA, SSH, Telnet, etc. It’s a simple program to use and manage all your remote desktop connections from a central location. I actually have been using 2x Client for quite a while, not on my main Windows desktop but on my mobile smartphones. I don’t feel its Windows Client offering more compelling features than the ones I mentioned above, but they do have a wide range coverage on other platforms, Linux, Mac, iOS, Android, Windows Phone, and Chrome App. They even have versions for Windows Embedded Systems. So if you are looking for one mainly used not on Windows Desktop platform, 2x Client might be the one to go. The user experience on 2x Client is better than Microsoft’s own RDP client on both iOS, Android, and Windows Phones. I personally have used Terminals for years and absolutely like it. It’s rock solid and has everything I wanted. However, the Remote Desktop Manager looks so promising and so powerful. It can be your powerful weapon to cover all your needs within one consolidated environment. 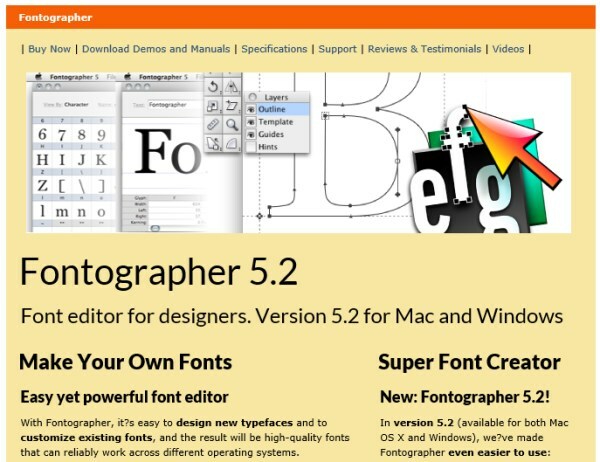 That doesn’t mean you should overlook the other tools we mentioned in this post. Both Microsoft RDCMan and MultiDesk are simple and just work. If you are the guy who doesn’t always fall in love with an all-in-one kind of tool. These two are probably your answer. Besides, if managing Windows Servers via RDP is all you needed, why you need a tool with a bunch of features you will never use? As for managing a bunch of connections on a mobile platform, both Remote Desktop Manager and RD Client from Microsoft work really well. 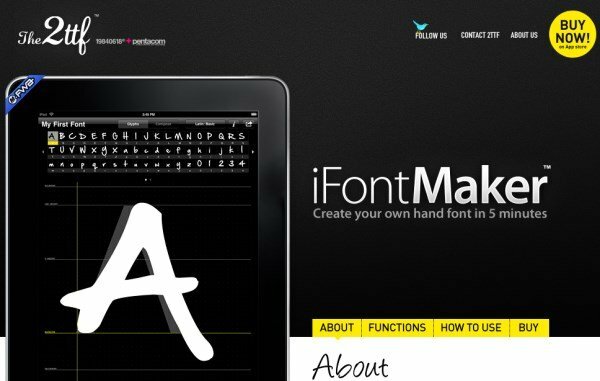 14 tools to Create your own font this article has been copied from this source There are plenty of sources available to find free high quality fonts that you can use in your apps and web projects. 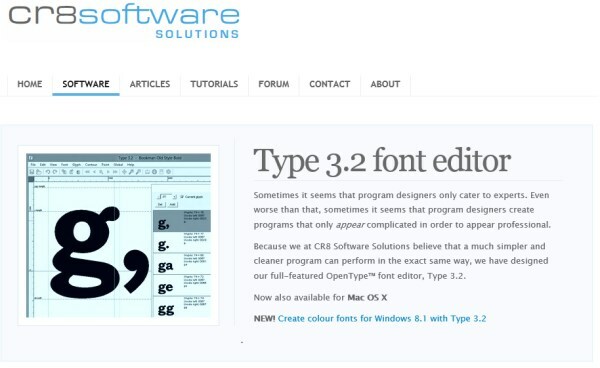 However, it can sometimes happen that even after checking hundreds of fonts, you’re not able to find the perfect font that you were looking for. 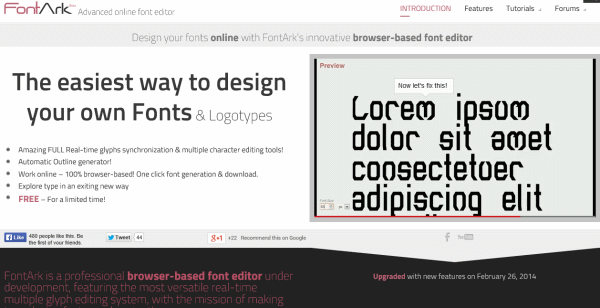 Or you simply want to use a unique font in your app, website or logo design. 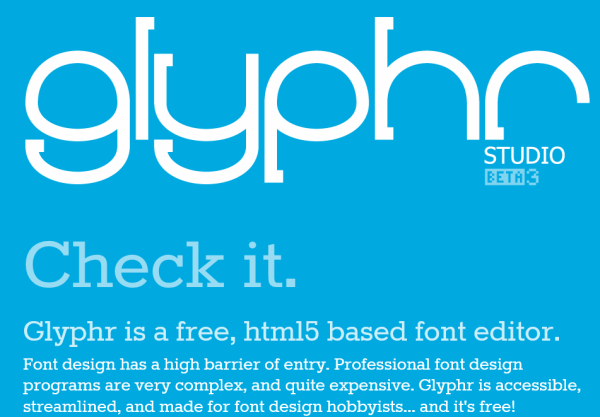 In such cases, you may want to create your own font to add uniqueness to the typography of your project. 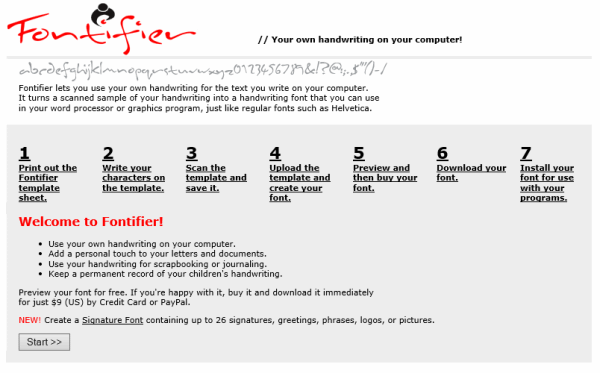 Today, I have brought a list of best tools for creating fonts. 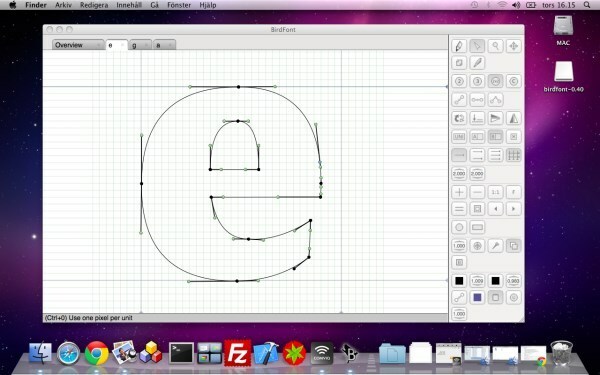 You can use these tools to create your own custom font from scratch. 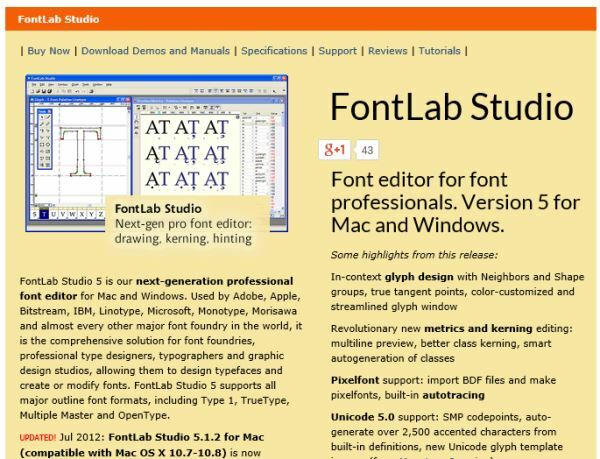 You can also design your fonts in vector graphics editors like Adobe Illustrator or Inkscape and then import the .svg file in font building tools like FontForge (mentioned below) to convert into TrueType or OpenType fonts. The Portable App Directory™ and Portable App Marketplace™ list free open source software and freeware portable apps. All apps are 100% bundleware, malware, and virus free. As always, the PortableApps.com Platform and related utilities are open source and free! 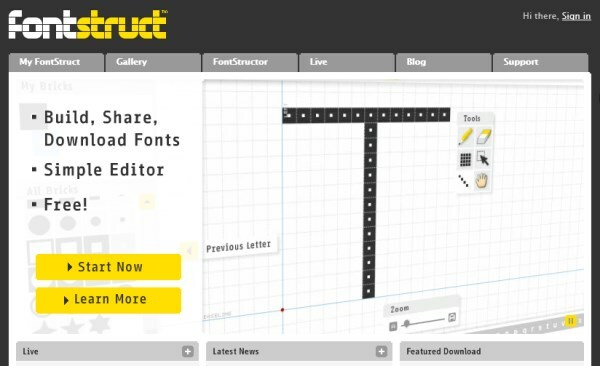 Diagram Designer Diagram Designer is a simple vector graphics editor for creating flowcharts, UML class diagrams, illustrations and slide shows. 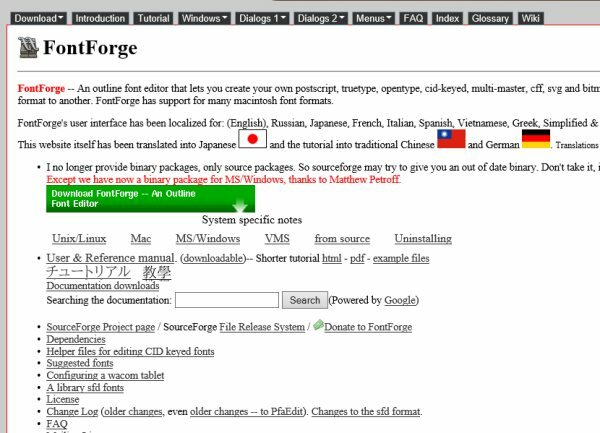 It is a tiny freeware application created by Michael Vinther that will work on all versions of Windows 98/ME/2000/XP/Vista/7/8. 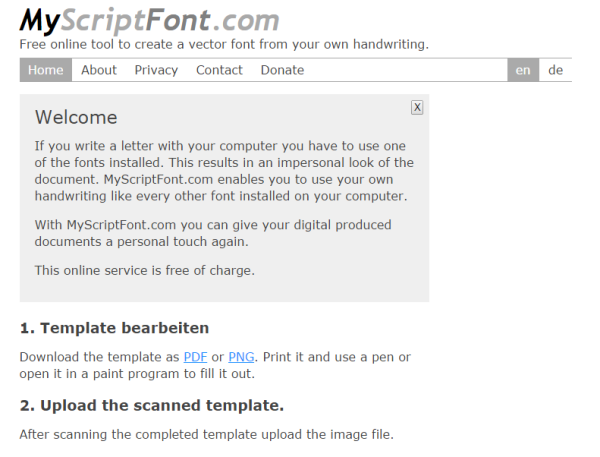 This is a short list with most powerful features: customizable template object palette, spellchecker, import-export images (support for JPEG, GIF, PNG, BMP, PCX, ICO, MNG, WMF, EMF), slide shower viewer, simple graph plotter (plot mathematical expressions, advanced pocket calculator (including equation solver), MeeSoft Image Analyzer integration (for bitmap image editing and extended file format support), compressed file format for minimizing drawing file size etc. 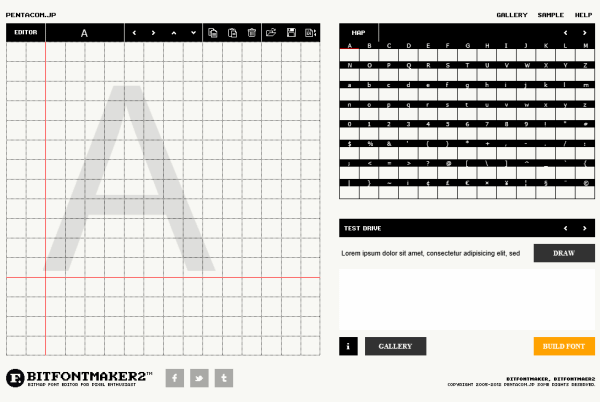 You can change Diagram Designer language by downloading additionally dictionaries and other template palettes from the main page. Windows 7 USB-DVD Download Tool How to create a bootable Windows 7 USB flash drive : If anyhow you don’t have a windows 7 installation disk or either it is damaged, then you can make use of a bootable USB pen drive to install windows 7 on your PC. The process of creating a bootable windows 7 USB flash drive is fairly easy but you would require a windows 7 ISO file to create a bootable windows 7 USB Flash drive. Fortunately Microsoft provides Windows 7 ISO images as free downloads for all users. You can download windows 7 iso images from here and Once you have downloaded a Windows 7 ISo file, you can then follow these instructions below to create a bootable windows 7 USB flash drive. Step 1: Download rufus on your computerand run it . After a few minutes your Windows 7 bootable USB flash drive will be ready for installation. Reboot your PC and set the bootable flash drive as a first boot priority in the bios settings. Save the bios settings and reboot once again to continue with the windows 7 installation process . Note: You have to allow booting from USB devices in your BIOS settings in order to proceed further with the windows 7 installation .